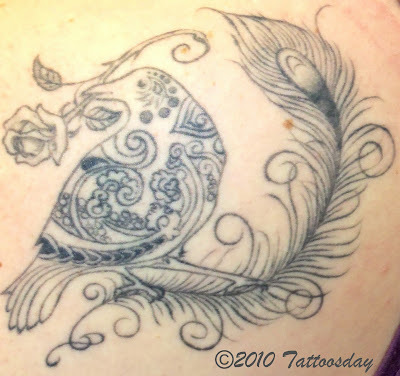 Sharon drew this herself and had it tattooed at Fat Cat Tattoo in Sacramento, California. 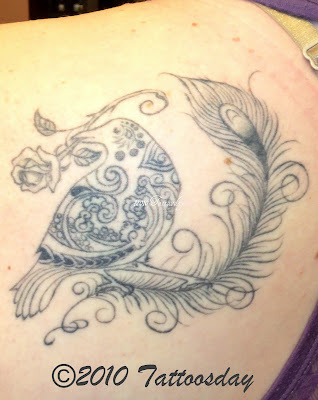 I'd love to tell you more about this tattoo, but Sharon never e-mailed me to give me more details. Nonetheless, it's some nice work. 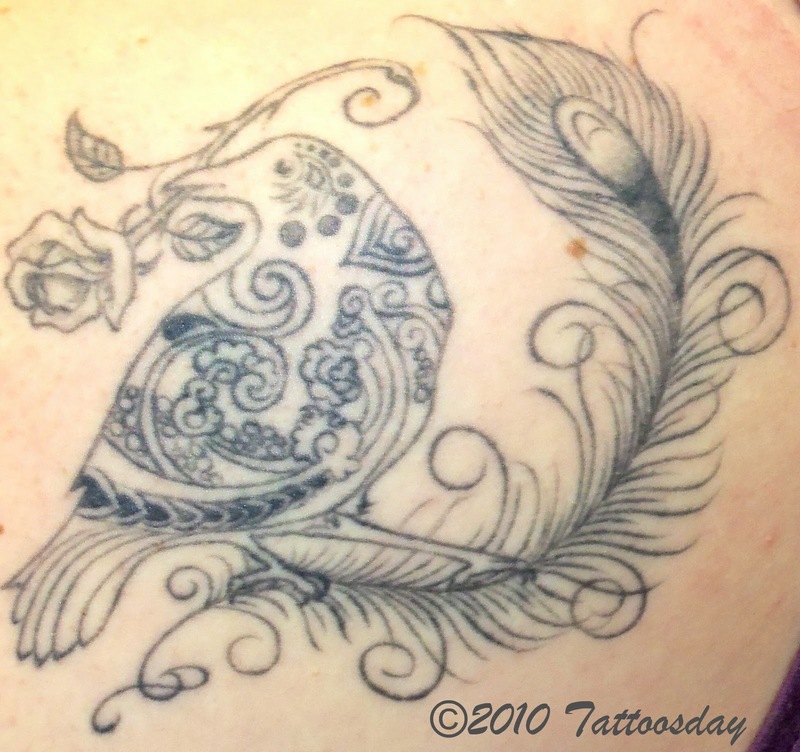 Thanks to Sharon for sharing her bird with us here on Tattoosday!